Dive Protea Banks. 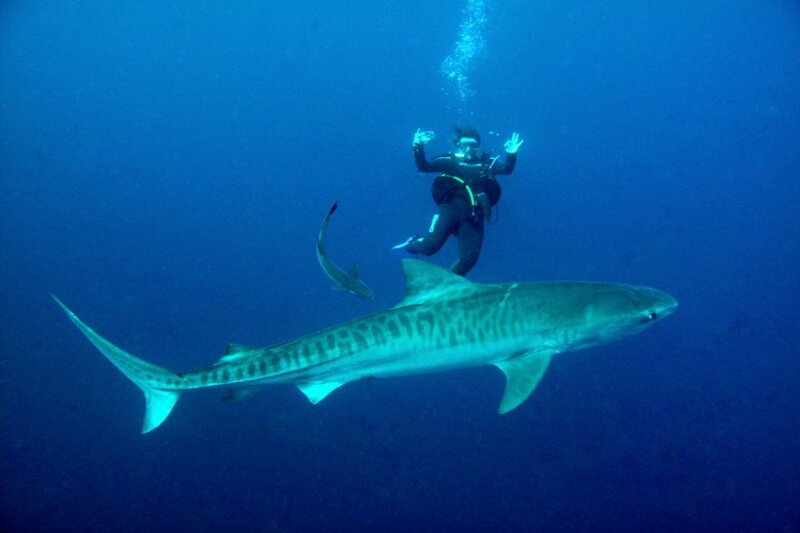 Dive Cageless baited BULL SHARKS and TIGER SHARKS all year round on PROTEA BANKS. Diving with Raggies on Protea Reef. South Coast KZN. 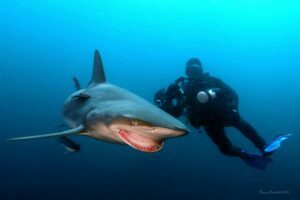 African Dive Adventures has been diving on Protea Banks since 1994, a world renowned sharkdiving reef of the East Coast of South Africa (Kwazulu Natal). 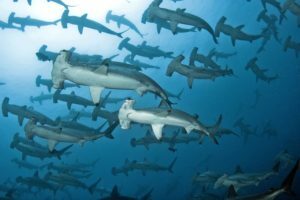 If you are an experienced diver and would like to enjoy the thrill of spectacular diving with sharks, then you have arrived at the right address! We also offer Sardine Run Packages during June/July along the Wild Coast from our base at Coffee Bay. The ocean is buzzing with life, there are hundreds, sometimes thousands of Common Dolphins along the coast hunting the sardines and there are whales everywhere. We offer responsible fun diving for divers who like to be treated as adults. With us you will be given a lot of underwater freedom to enjoy yourself to the fullest. 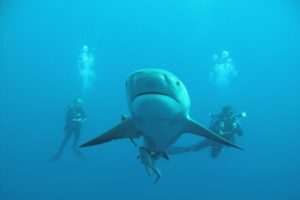 We will guide you professionally and safely on our reef and let you interact with our sharks and other marine animals without coming to harm. It is also part of our mission to give each and every diver from near and far the best and safest possible diving experience on Protea Banks.